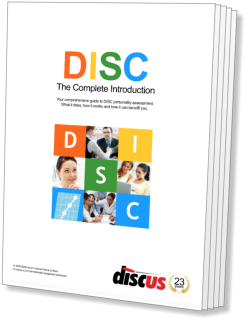 The second of the DISC 'axes' extends between Openness and Control, measures of a person's social attitudes, and describe different approaches to interaction with other people. In this section we look at the two extremes of this axis. While reading these discussions of Openness and Control, bear in mind that we are discussing two opposite ends of an axis. Some people are more Open than others, for example, while others fall right in the middle of the axis. Extremely Open people are friendly, trusting and ingenuous. They express themselves easily and value strong relationships with other people. Open individuals tend to work on an emotional level, revealing their feelings to others and being ready to sympathise with those around them. Controlled individuals are practical and somewhat cynical in style. They value hard facts and rational argument above emotional considerations, and prefer to follow their own ideas, rather than rely on other people. At times, they can be distrustful or suspicious, and will rarely volunteer information about themselves to other people.